See the 1.8.20 Upgrade Guide for a list of changes that may affect you when upgrading from 1.8.19. For full details on what’s included in this release see the 1.8.20 Changelog. Thanks to all who helped with this release, specifically: Bertjh, G Karunakar, Jason Moon, jiliwi, martinkoutny, Scott González, TJ VanToll. If you have feedback on us doing our twentieth maintenance release for jQuery UI 1.8, feel free to leave a comment below. Thank you. @Cutter – They don’t wait on google for the announcements. Just give it some time, sometimes it takes a couple days. Both CDNs giving 404 currently, I think someone forgot a step in the publishing process. @Frisco: Nobody forgot any steps. We don’t have direct access to Google and Microsoft’s servers. We have no control over how long it takes for them to update. @Scott González Sorry if that was a bit rude, it was not my intention. I just thought that somehow you should have to notify Google or Microsoft about new versions and that was forgotten. where is jquery.js in libarary i cant find out it. 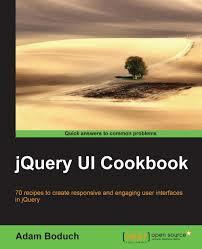 i read it from a book which have older version and new version of libarary have not jquery.js file how to include it? 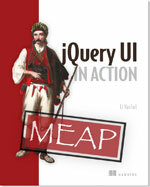 Any updates on JQuery UI 1.9? ugh,… why do the cdn’s take so long to publish! Why not correctly placed button (), autocomplete () and the radio box in the sample index.html file in this version “1.8.20” ? I wonder if we’ve pissed of the Google machine. Still no update on their CDN and it is showing 1.8.18 as the last available. I might need to start using the Microsoft one more often.